I love working casting things and working with molding putty! 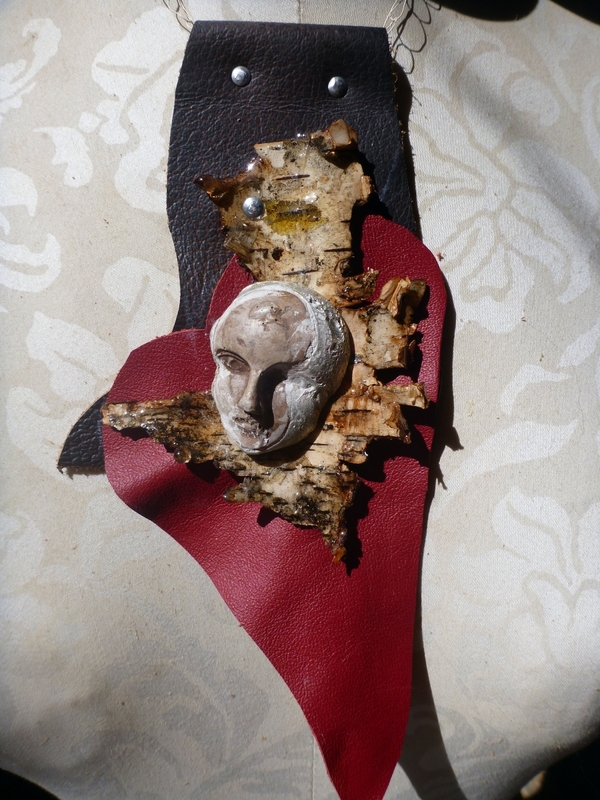 This necklace was made using Amazing molding putty, concrete, pewter, resin, birch bark, leather, wire and rivets. After making the mold with Amazing molding putty, I poured concrete into part of the mold and allowed it to cure. Next I poured molten pewter over top to fill mold. 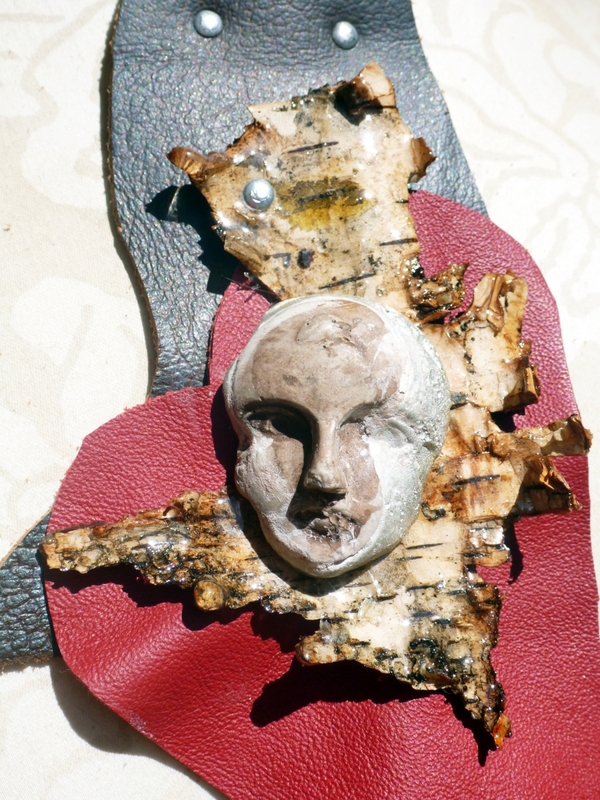 Then I attached the face to resin coated birch bark; next onto the red leather heart and brown leather with rivets. It's finished with a crochet wire chain.